At least 67 percent of global businesses in the past three years have faced data breaching. The breaching has been reported to expose hundreds of millions of customers. Studies show that an estimated 93 percent of these breaches would have been avoided had data security fundamentals been considered beforehand. Understand that poor data security can be extremely costly, especially to a business and could quickly lead to widespread disruption and possible harm to your brand reputation. Although some businesses can pick up the pieces the hard way, there are still those that fail to recover. Today however, you are fortunate to have access to data and network security software. As you start 2019, keep off cyber-attacks by investing in a Virtual Private Network commonly known as VPN. When it comes to online privacy and security, there are many uncertainties. There are hundreds of different VPN providers, and picking the right one means striking just the right balance between pricing, services, and ease of use. If you are looking for a solid 100 percent tested and secure VPN, you might want to do your due diligence and identify the best match. 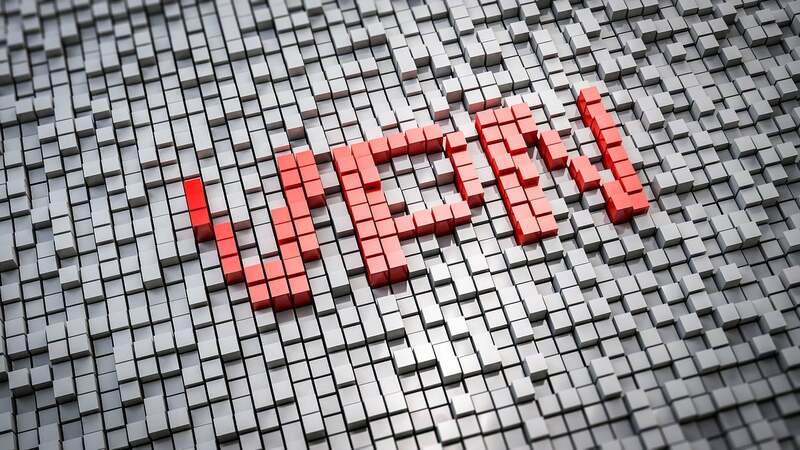 Here are the top 7 Best tried and tested VPN services For 2019. With VPN Unlimited, you have total security. This VPN allows you to use any WIFI without worrying that your personal data can be leaked. With AES-256, your data is encrypted and protected against prying third-parties and hackers. This VPN ensures you stay anonymous and untracked on all websites no matter the location. It offers a 7-day trial and a variety of protocol options: OpenVPN, IKEv2, and KeepSolid Wise. Demanding users are entitled to special extras such as a personal server, lifetime VPN subscription, and personal IP options. VPN Lite is an easy-to-use and free VPN service that allows you to browse the internet at no charges. You remain anonymous and your privacy is protected. It obscures your IP and encrypts your data meaning third parties are not able to track your activities on all online platforms. You also get to access all online content. With VPN Lite, you get to access blocked sites in your state. You can also gain access to public WIFI without the worry of having sensitive information tracked and hacked by spyware and hackers. Launched in 2005, this is a popular VPN embraced by the majority of users. The VPN protocol here is integrated by at least 70 percent of the largest security companies globally. It is also known to have thousands of servers across the globe. It comes with two free options. One is completely free but supported by online advertisements, and the second one is a 7-day trial which is the flagship product. It contains military grade data encryption and protects against malware. HotSpot Shield guaranteed secure browsing and offers lightning-fast speeds. This is the best way to start if you are new to VPNs. It comes to you with a user-friendly interface complete with animated bears. With the help of TunnelBear, users are able to connect to servers in at least 22 countries at great speeds. It uses AES 256-bit encryption guaranteeing no data logging meaning your data stays protected. You also get unlimited data for up to five devices. This VPN offers you a strong premium service. You may suffer from reduced connection speeds, but you also get to enjoy its unlimited data. It features an intuitive interface easy to use, and comes with a multi-platform compatibility. Proton’s servers are said to be specifically optimized for torrenting and thus cannot give access to Netflix. You get strong security features such as protocols and encryptions meaning your browsing activities remain secure. This is known as the best offshore VPN for unblocking and privacy. It has gained recognition for being the top VPN service globally resulting from solid customer support and fast speeds. It offers routers that come with browser extensions and custom firmware. ExpressVPN also has an admirable scope of quality apps, plenty of servers, and can only support up to three devices. It’s not entirely free, and happens to be one of the most expensive VPNs on the market today because it is fully packed with the most advanced features. With it comes a 30-day money-back guarantee, meaning you can freely test this VPN for a month. Good thing is; it is completely risk-free. If you need a VPN for a short duration to bypass online censorship for instance, this could, be your go-to solution. You don’t want to give trials to a spammy, slow, free program. It is also one of the best ways to enjoy online streaming as well as outdoor security. Should you need to continue using it, you only have to renew or cancel your free trial if need be. Express VPN has over 2000 servers across 90 countries, unblocks Netflix, gives lightning fast connections, and gives users total privacy. While this VPN may not be completely free, it falls under the most budget-friendly services on this list. Users can sign up for a free seven days trial and later choose one of its paid plans. With this VPN, you get to access 750-plus servers in at least 140 countries. There is also access to easy installation on almost all devices. All its paid features can still be accessed within the free trial window. That includes unlimited data transfers, IP leakage protection, and ISP invisibility. The supproted operating systems are iOS, Android, Windows, Linux, and macOS. With the large variety of available freemium VPN services today, why not take that opportunity to protect yourself and your customers? Understand that there are some great VPN services. Even the most secure free service however, cannot be touted as risk free. You might want to upgrade to a premium one for increased protection. Premium VPN allows you to test freely offering risk-free money-back guarantee. Whether you plan to sign up for a paid VPN or commit to a free one, it is highly advisable to have a VPN. Renetta K. Molina is a tech enthusiast and fitness enthusiast. She writes about technology, apps, WordPress and a variety of other topics. In her free time, she likes to play golf and read books. She loves to learn and try new things.